However, in the recent Ontario Labour Relations Board decision in Zhang v. Crystal Claire Cosmetics Inc. 2015 CanLII 32245, vice-chair Rogers held that an employee who had been terminated for sleeping on the job on several occasions had not engaged in “willful misconduct” to disentitle him to statutory termination pay under the Ontario Employment Standards Act (“ESA”). In this case, the employer operated a cosmetic manufacturing facility. 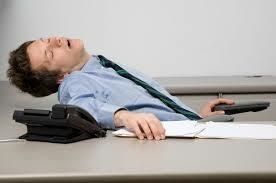 The employee had been caught by his employer on two prior occasions sleeping or dozing off at work. The employer verbally warned the employee about sleeping on the job and then moved him to a different part of the plant where his performance could be more closely monitored. In this new part of the plant the employee was responsible for monitoring vats of molten materials in the production process. After his relocation, the employer found the employee sleeping on the job once more. The employer waited a week from the incident and then terminated the employee for sleeping on the job and for violating its “zero-tolerance” policy on appropriate workplace conduct. The employee filed a complaint with the Ministry of Labour seeking termination pay and lost. The employee appealed to the OLRB. Vice-chair Rogers started his analysis by pointing out that under the Regulations of the ESA, an employee is only disentitled to termination pay if “an employee who has been guilty of willful misconduct, disobedience or willful neglect of duty that is not trivial and has not been condoned by the employer”. The vice-chair then held that the employer could not establish that the employee’s sleeping on the job was in fact “intentional misconduct” i.e., that he intended to be or fall asleep or that he behaved recklessly in allowing that to occur. The vice-chair held there was nothing in evidence explaining why the employee fell asleep and that the employer should have considered the reason prior to terminating his employment (i.e., was there a culpable or non-culpable explanation). The vice-chair then found fault with other employer decisions including the fact it did not follow its own progressive discipline policy, it never told the employee about the zero-tolerance policy and it considered allegations that were not referenced in its own termination letter and referenced incidents that did not occur. The vice-chair held that, “Crystal Claire [employer] failed to respond to Zhang’s [employee] repeated wrongdoing with a clear and cogent stipulation of its intention to terminate Zhang’s employment if he breached the code of employee conduct again”. Consequently, the employee was found entitled to termination pay. This case is a good reminder that the ESA has its own tests which are different from the common law. Further, employer should make sure to conduct proper investigations and look for explanations for conduct before decisions to terminate are made. Finally, employers should apply their own policies in a consistent and fair manner.